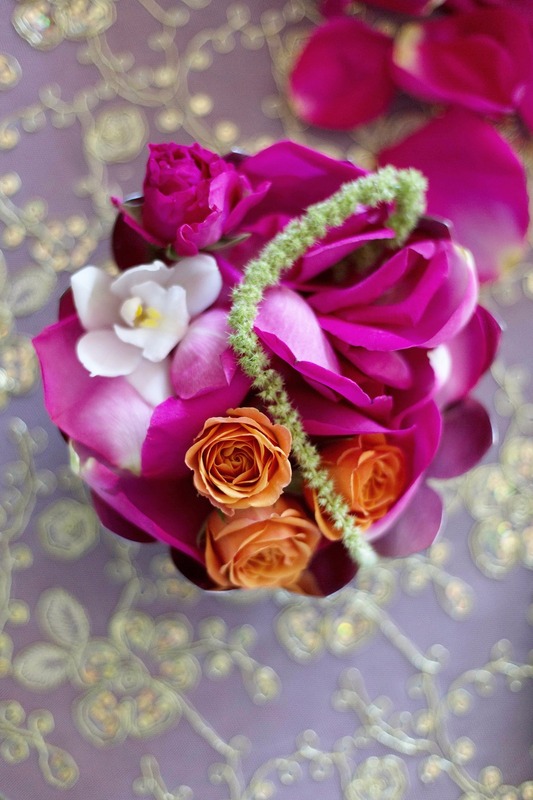 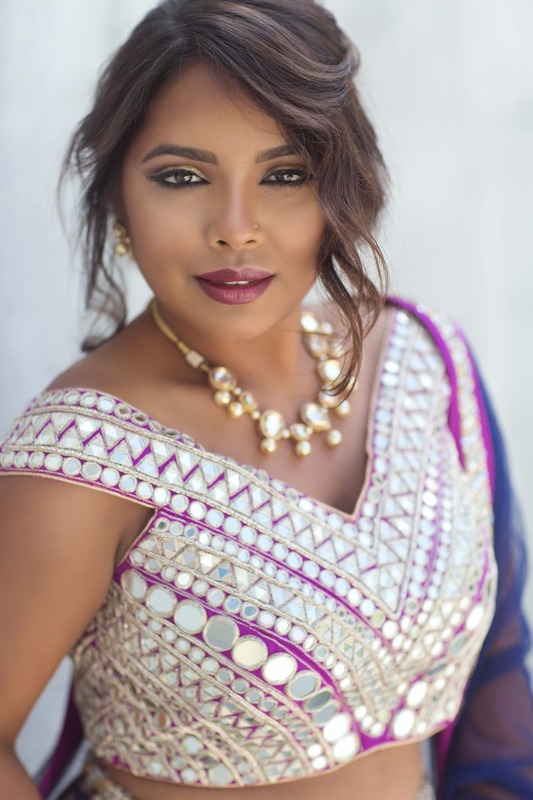 Muted tones step aside and make way for this vibrant and bold color inspiration that celebrates the elegance and tradition of the modern day Indian bride. 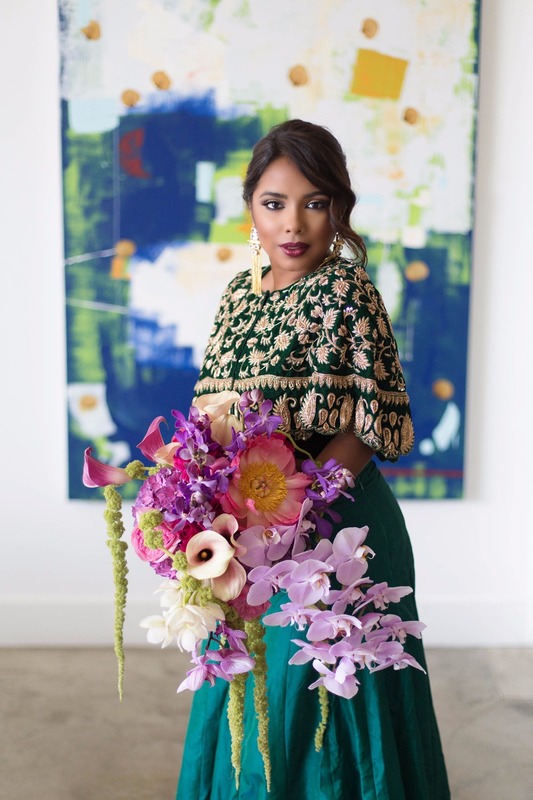 Urban Soirée Boston and a talented team of vendors transformed the industrial space of the Artists for Humanity EpiCenter with luxurious details and vibrant pops of color. 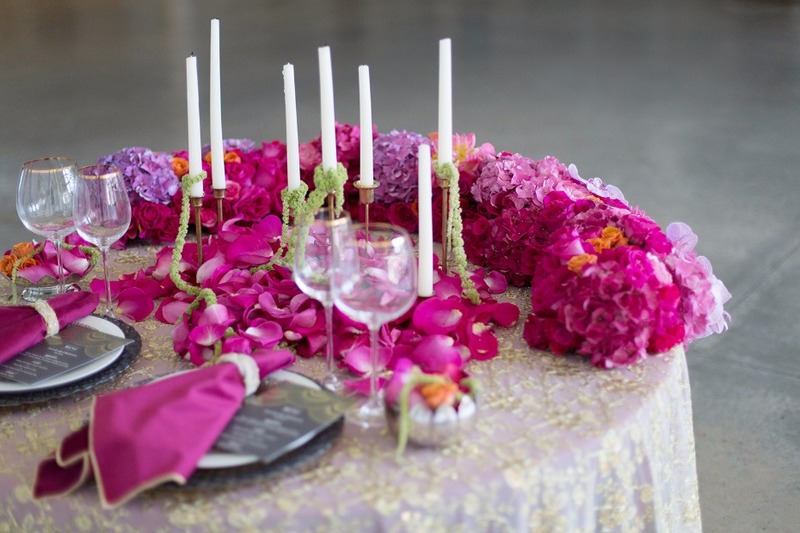 The sophisticated sweetheart table is beckoning us to sit and relax amongst the flower petals and velvet linens. 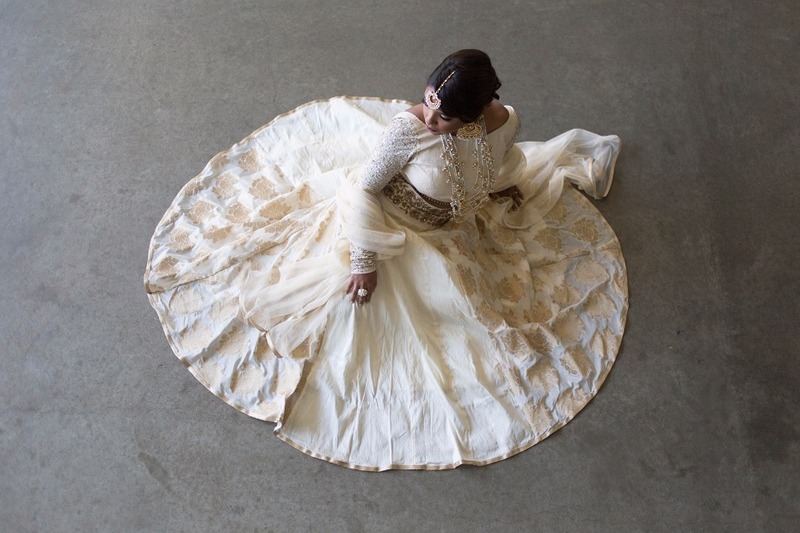 And we can't fail to mention the bride-model, who looks FLAWLESS. 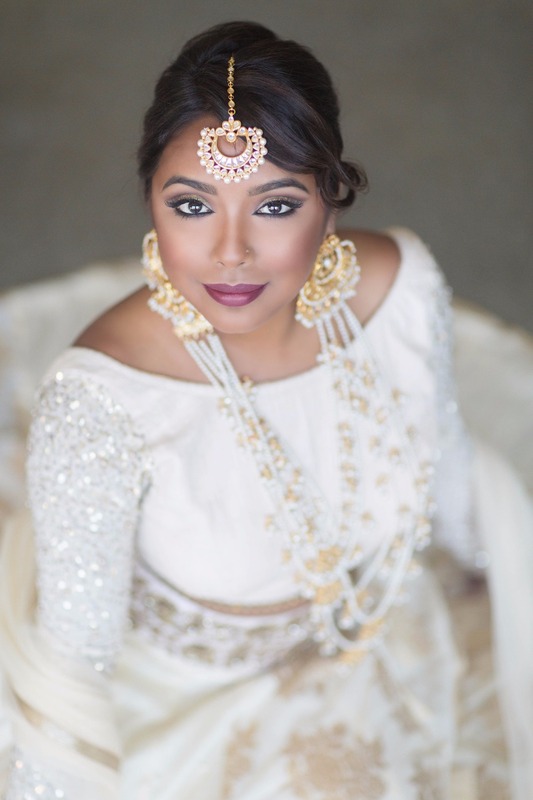 Sarah Hinchey Photography perfectly captured the edgy meets traditional vibe of this shoot beautifully, so you’ll definitely want to visit the full gallery for more. 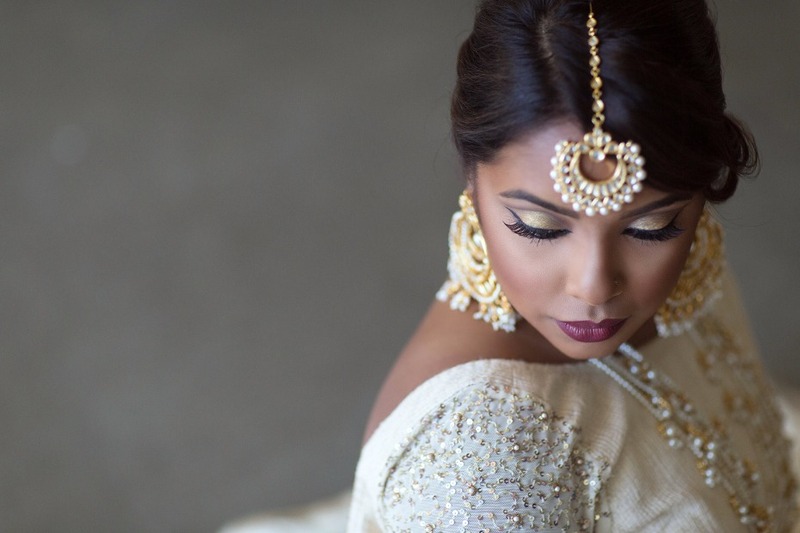 From Urban Soirée Boston: This incredible styled shoot embraces elegance and tradition of the modern day Indian bride. 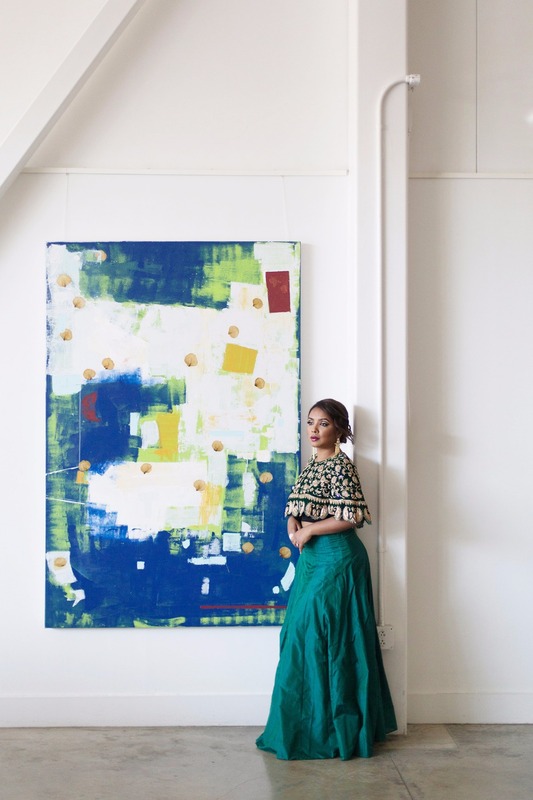 Our creative vendors paired bold colors and luxurious details with the artistic, chic and industrial space at the Artists for Humanity EpiCenter. 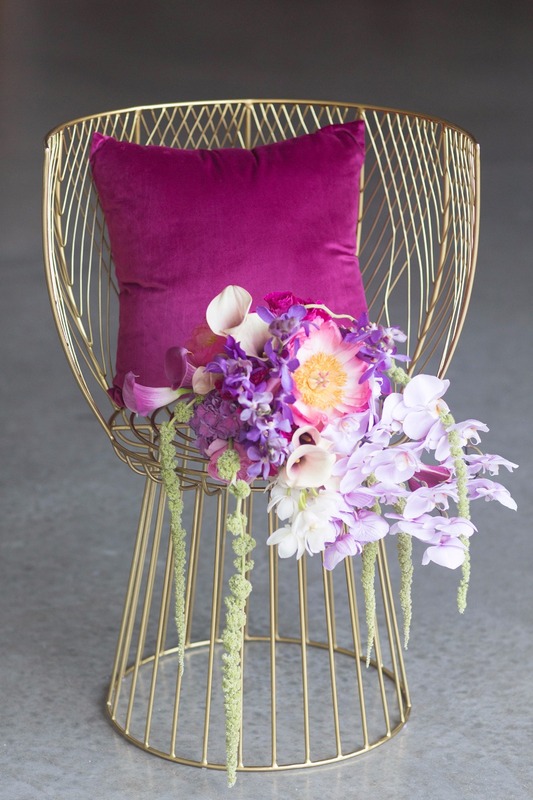 The shoot was beautifully captured by Sarah Hinchey Photography, who perfectly captured the edgy meets traditional vibe we we're going for. 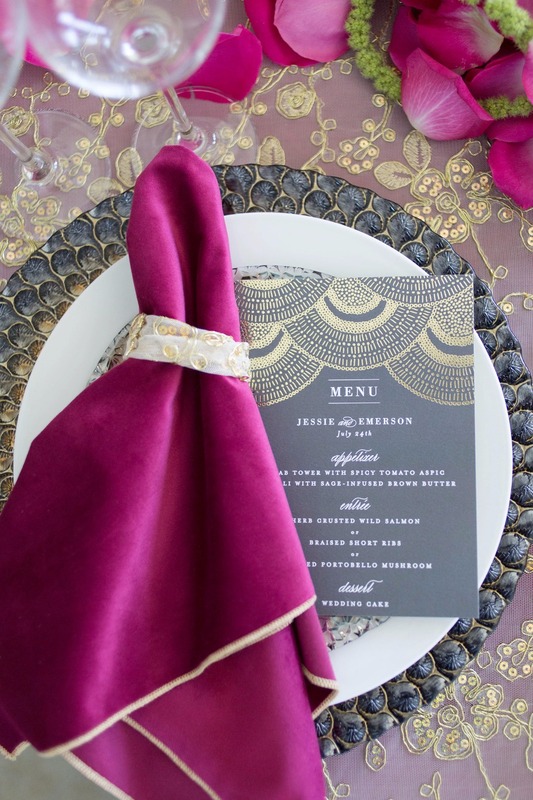 Urban Soirée Boston and JNG Event Consulting collaborated with the talented team over at BBJ Linen to design a luxe sweetheart table full of vibrant velvet linen with a custom gold lace overlay and deep chargers. 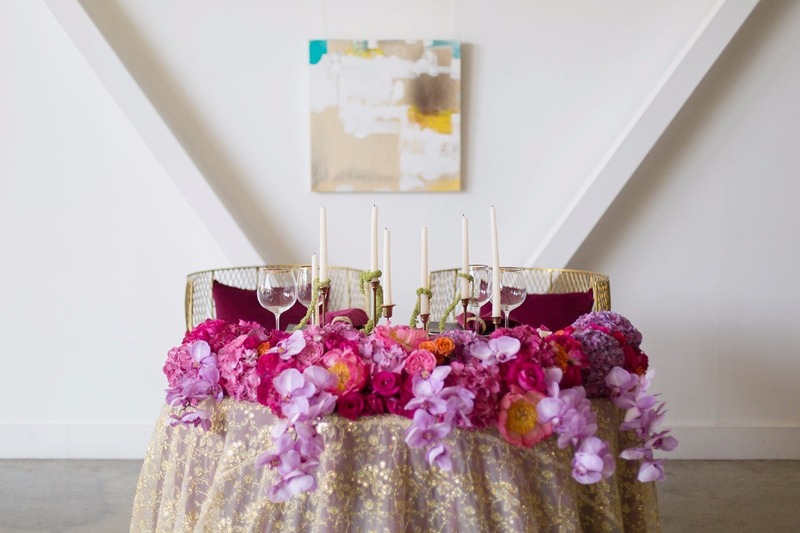 Specialty rentals from Kadeema Rentals helped complete the design with modern gold chairs, lotus floral dishes and brass gold candlesticks. 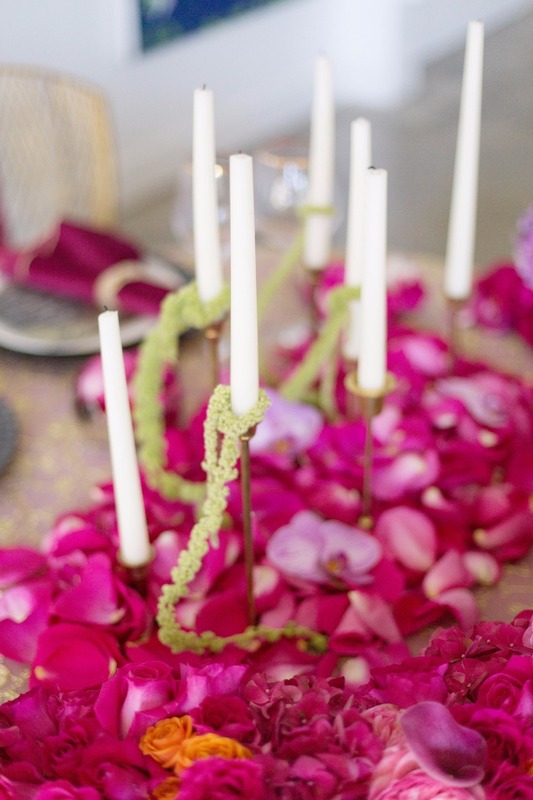 JNG Event Consulting's cascading and lush sweetheart table florals was the cherry on top and transformed the styled table. 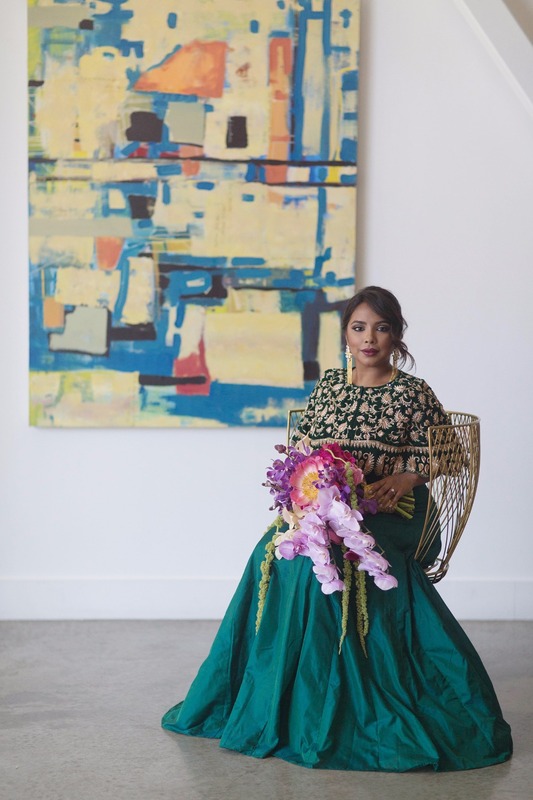 Ruchita Dagli's custom made gowns offered a different feel for each set -- from a timeless + eternal, classic bridal look - to regal + glamorous emerald green gown, and finally a playful + chic patterned navy and pink, two-piece gown. 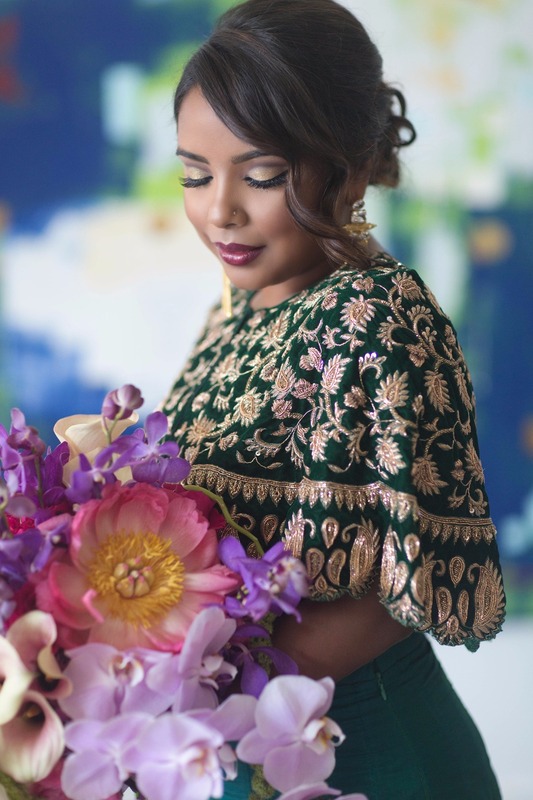 Paired with bold and beautiful makeup by Christina Gallardo paired with a loose and soft updo by Mia Carbone, our model, Sumaira was stunning and a perfect fit for our fun styled shoot.